Last week I was in the Cannaregio neighborhood of Venice, Italy in a residential area and turning a corner was surprised by an out of place, very Baroque, ornate, important looking, expensive. 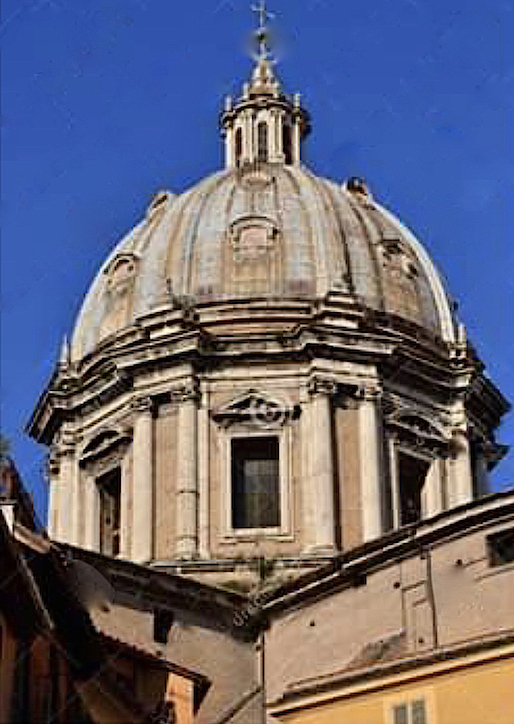 marble-carved façed church. I’ve been to Venice dozens of times in the last 40 years and I’d never heard of it or seen it before. Perhaps that’s why I was not only blown away by the extremely high workmanship of the construction but there was a wall treatment I had never seen before! 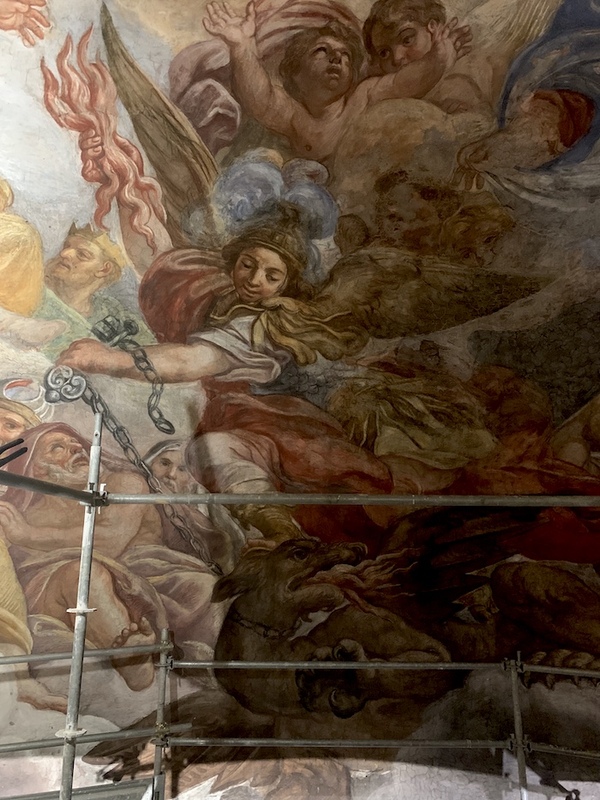 Since my profession is the restoration of historic wall murals and treatments, I was in disbelief both by what I saw and by the quality of the work. 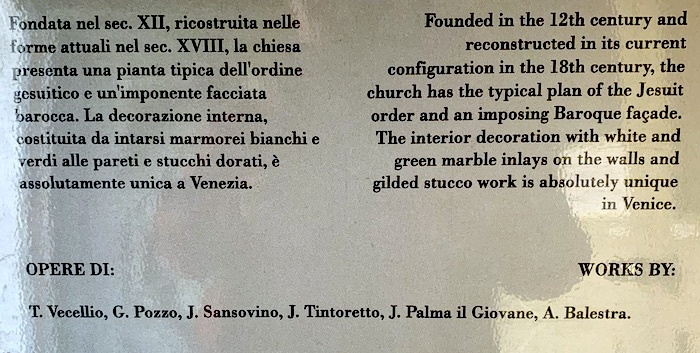 The written description by the church said the wall decorations were created by inlaying marble into the plaster. That didn’t seem right based on what I saw so I asked the resident guide and church’s caretaker. He confirmed: inlayed marble into the plaster! 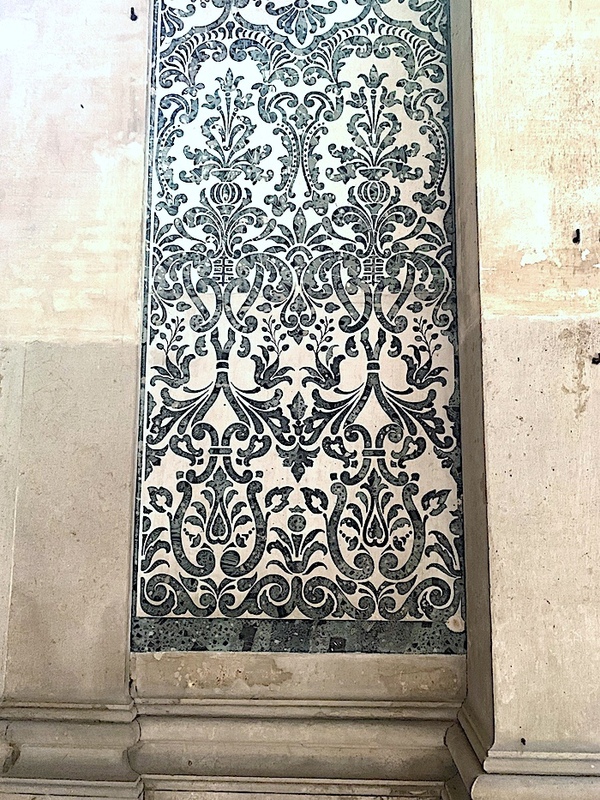 So, I set off and toured the church to discover for myself what technique produced such magical interesting wall decorations… that look just like inlaid marble… but were not. 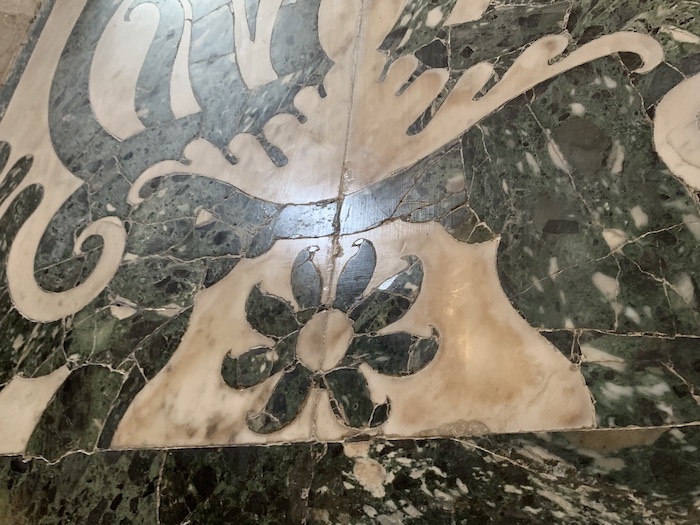 It became quickly apparent inspecting areas of damage due to infiltrations of water that it was a painted surface treatment done while the surface was damp followed by a high luster burnishing as the plaster dried. The decoration had been applied with the help of stencils and the decoration was put up in 18” x 36” sections to allow control over the drying process. Knowing exactly how they were created is foundational in knowing how to figure out how to protect and preserve them, especially now as many areas of the church have been damaged by water infiltrations. 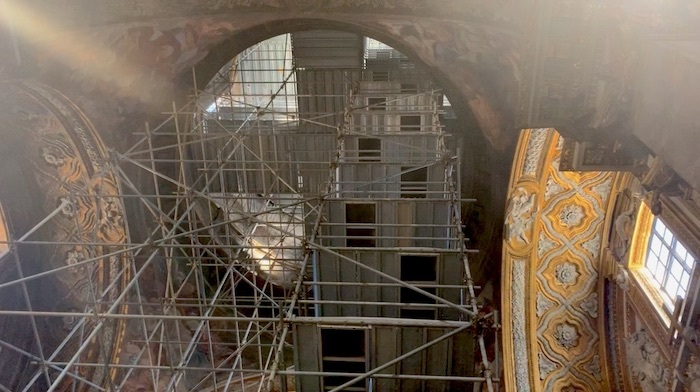 The church and its caretaker were obviously completely misinformed which will complicate extremely the communication and planning of restoring these quality historic wall decorations which are accompanied by paintings by Titian and Tintoretto! 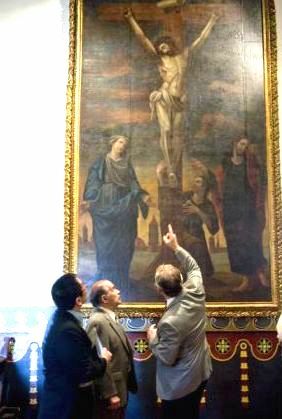 The week before being in Venice, I was in Rome and visited with an esteemed professional art conservation colleague. He was offering his decades of experience on a project where his information made all the difference in the accurate assessment of the problems so the best results were possible. The normally straightforward rules of affresco mural painting technique, on this project, had been so poorly followed by the artists of the 1600s that it had become a multi-media painting technique. Scaffolding inside the dome… a 140 ft bucket lift ride to the top!! 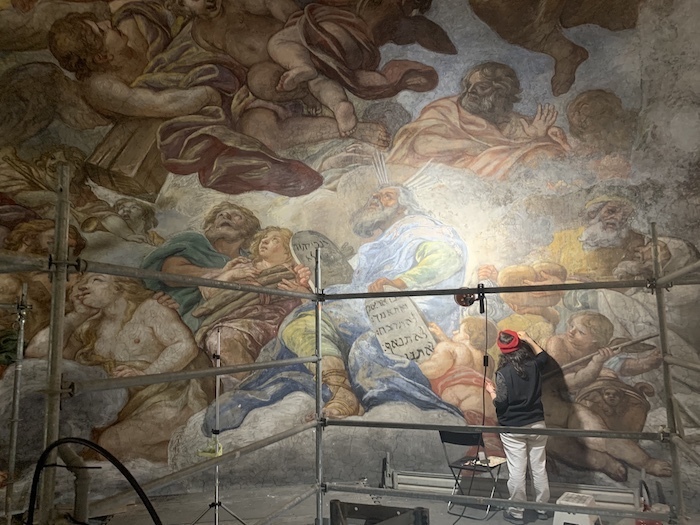 This has meant that the mural’s extensive preservation problems required specialized treatments for the conservation efforts to be a long term success. Thank heavens the architects in charge went looking for a real professional expert. The final results are much better and the timetable for the work and budget are more dependable. 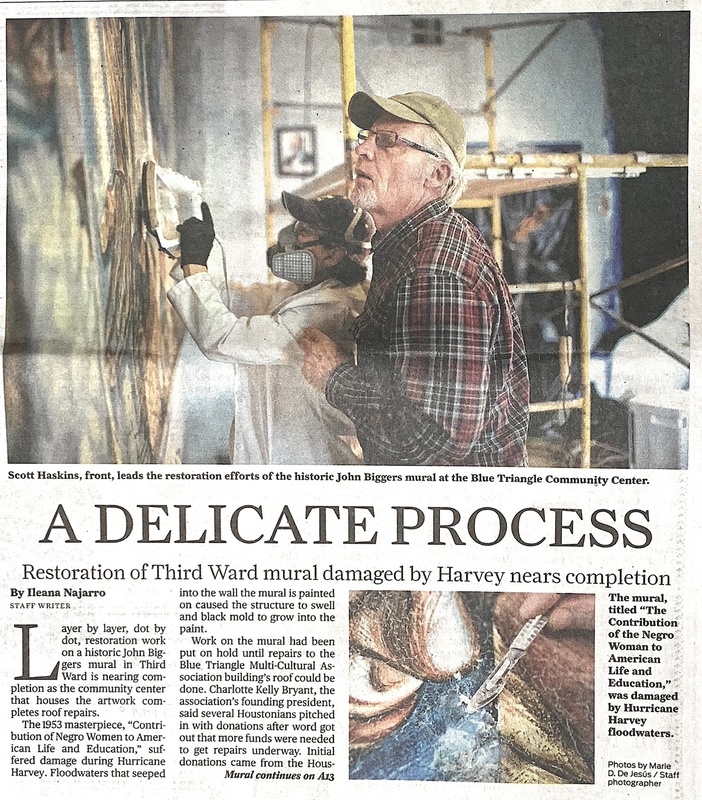 Such was the case for a project I just finished up a month or so ago in Houston Texas, mitigating Hurricane Harvey damage to an iconic 1953 mural on civil rights. Our analysis of the problems and proposal for the best quality treatment solutions were scrutinized at the highest levels, even in Washington DC. We found out later our estimate to do the mural conservation work was 1/3 the initial estimate, and we got paid well for our services. Similarly, at the San Juan Capistrano Mission, during the creation of our assessment and proposal, we were careful to consider the specialized needs of the historical organization. The result was a 1stclass job that was 5 times lower than the other most professional service provider. The important matter, here presented, is NOT the reduction in price. 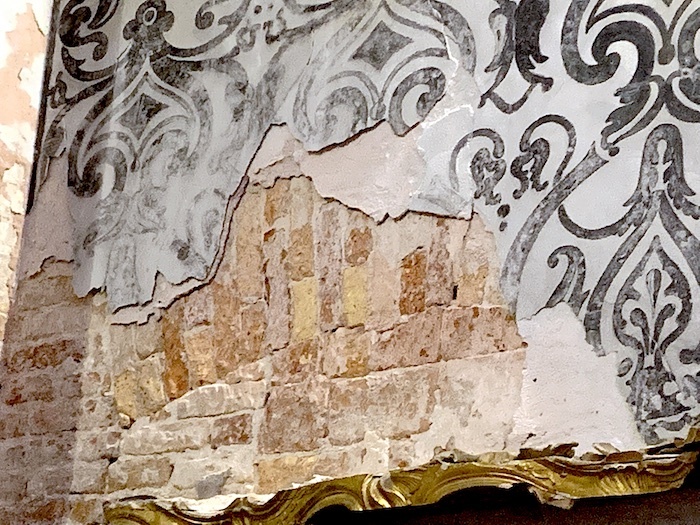 It’s the accurate and quality assessment of problems and conditions by a professional expert in mural restoration and conservation to help you avoid the unexpected… and to get the quality long term results you want. This entry was posted in Consultations, Historic Buildings - Construction Sites, Murals, Professional activities, Travel and tagged mural conservation project consultant. Bookmark the permalink.